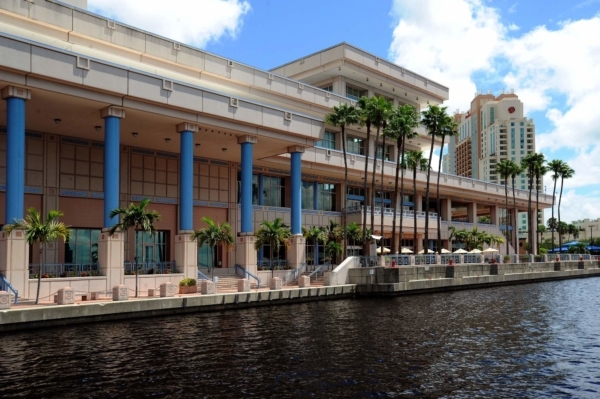 Welcome to the beautiful Tampa Convention Center, located in the heart of Downtown Tampa and only a 15-minute drive from the Tampa International Airport. Our facility is situated along The Tampa Riverwalk with 2.4 miles of walkable path and a beautiful view of Garrison Channel, which leads to the Hillsborough River. The Convention Center is located at 333 S Franklin St, Tampa, FL 33602.